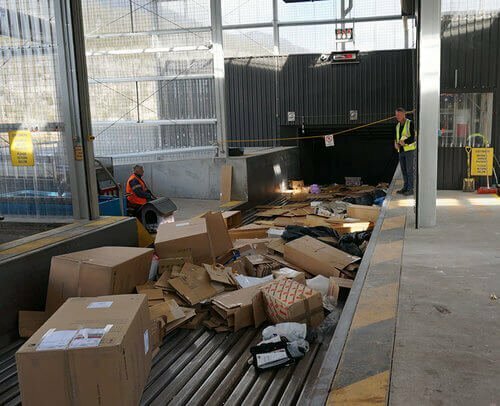 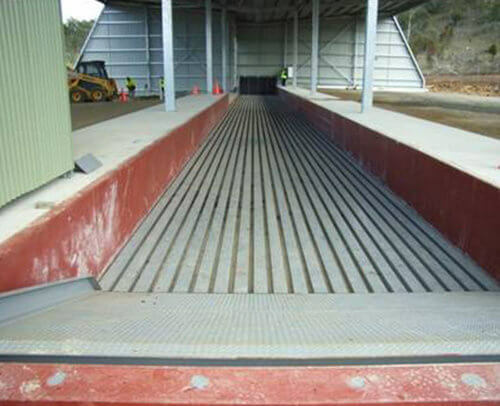 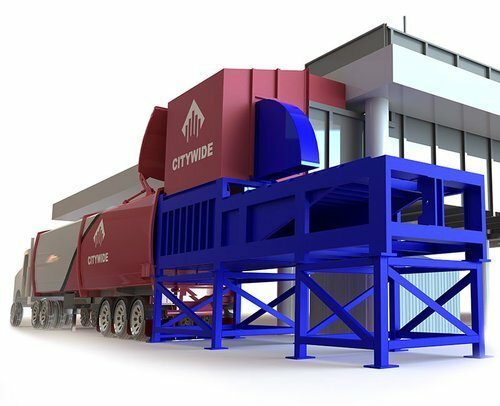 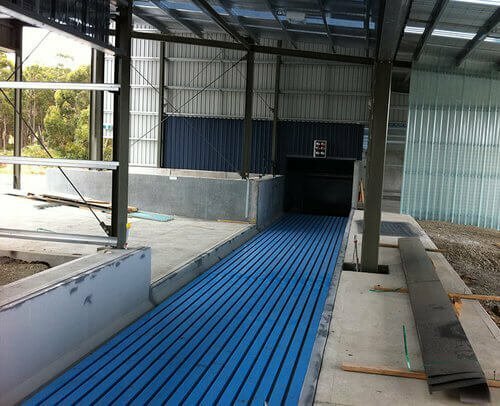 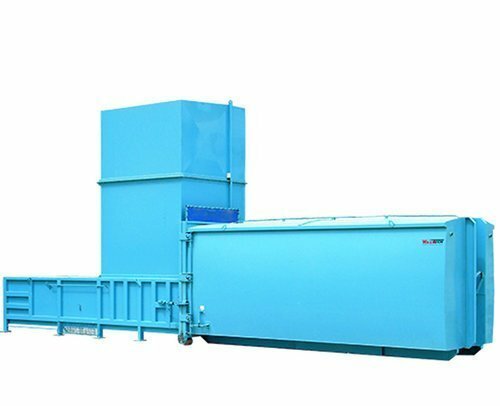 Moving floors are an efficient and cost effective means of moving large volumes of waste in receival pits. 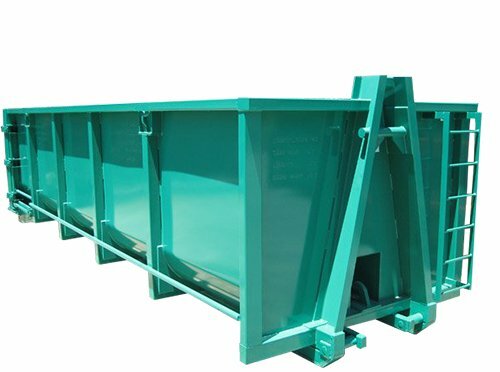 Moving floors are designed to replace the outdated and often dangerous means of moving product in a pit via push blade, dozer or front end loader. 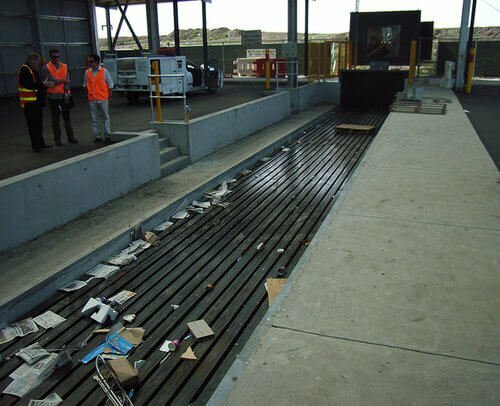 Wastech Moving Floors are hydraulically powered via a 30kW power pack and floor speeds can be varied to suits high throughputs during peak loading periods. 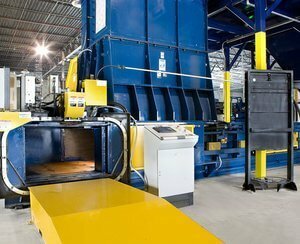 Significantly reduce safety issues, operational costs and vehicle queuing time.